Though he is a biologist by profession – Ph.D. student of botany and co-founder of FlowerChecker – music has always been his passion. He plays the piano since childhood and he loves it until nowadays. 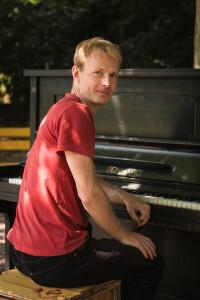 Excited by the idea of Piána na ulici (Street pianos), he joined Pavla and Martina in summer 2013 and began to look around for pianos for Brno… Currently he takes a major part in the management of the team and takes care of the technical aspect of the pianos. She noticed the article about Piána na ulici, the project of Ondřej Kobza, on Facebook in summer 2013. 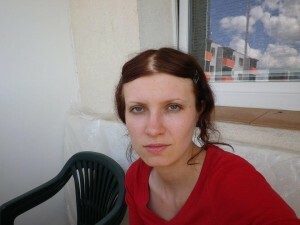 She immediately promised herself that she has to do something similar in Brno as well. 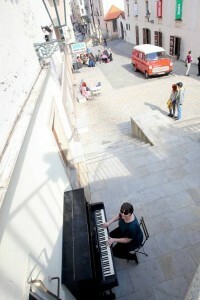 As an enthusiastic pianist, she was thinking she could use something like a street piano herself, because she did not have an own piano at home for a long time. She spoke to Martina and established a Facebook page Klavíry pro Brno, addressed the media and get a first piano (from Ondřej). Since then, she does everything what needs to be done. Although he admires the people’s ability to play the piano, he is not a pianist himself. 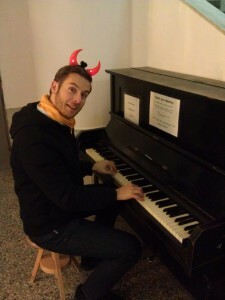 Even though he would like to contribute with his other skills to the idea of street pianos in the center of Brno. When he saw this very idea in practice in the streets of London, he was thrilled. 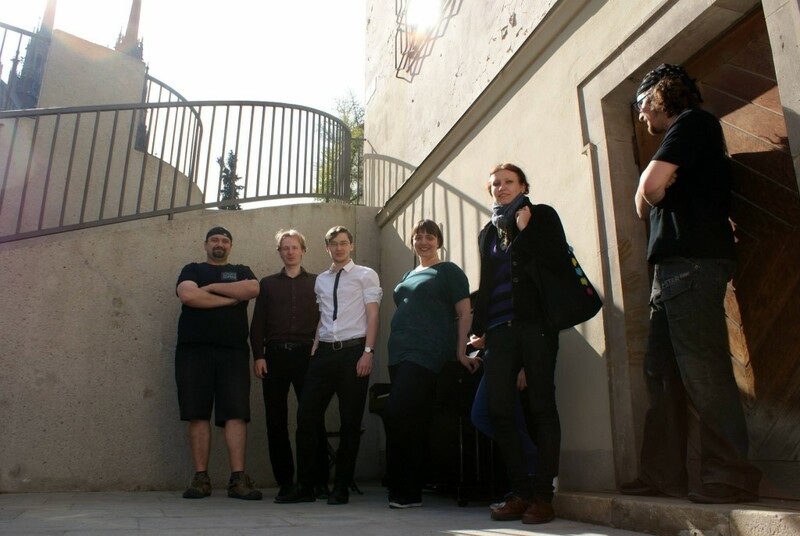 After he found out that a group of people want to do something similar in Brno, he decided he does not want to stay out of it. The team could use a lawyer and someone who can help when piano moving is needed, right? The city can be often tedious and tiresome, whether due to its mass character or fast motion. I think the street pianos are a way how to stop and think. To switch from an automatic to a creative mode. To put yourself to a more poetic world, which usually evades from many people’s minds in the plenty of duties, impulses and city hustle. When Pavla contacted me by the end of summer 2013, first we created a Facebook page. I was thinking ‘why not to try?’, but I did not have an idea that people will like it so much. Since then the project runs quite smoothly.